It seems like not that long ago when the first Rauh-Welt Begriff Porshe made its online debut. We definitely took notice as some of the aesthetic cues were right up our alley. The oversized flares, big lip wheels, and a no-fucks-given attitude. Even the name Rauh-Welt ("Rough World") implies a gritty perspective that flies in the face of trailer queens. They may look pretty but they are meant to be driven on real roads. With that in mind, it's no surprise that we got excited when a local friend of Black Cloud announced he was to be the owner of Atlanta RWB #3. Since an RWB build itself is an event, he approached Black Cloud's Mr. Totem about doing a mural to really set it off. Of course, Totem never fails to deliver and this time was no exception. From the matching colors, portrait of Nakai-san, and all the details specific to the build made a one-of-a-kind piece that will last as long as the 993. Nakai-san always looks for inspiration during the build when naming each RWB. In this case, he ended up naming the car "Shingen" after a Japanese Lord who ruled over an area in Japan with special significance to Totem. The build was a success in every way. Some drinks were taken, friendships made, and the car speaks for itself. We have to give big thanks to Allen for inviting us to be a part of the build and to Nakai-san for continuing to inspire. 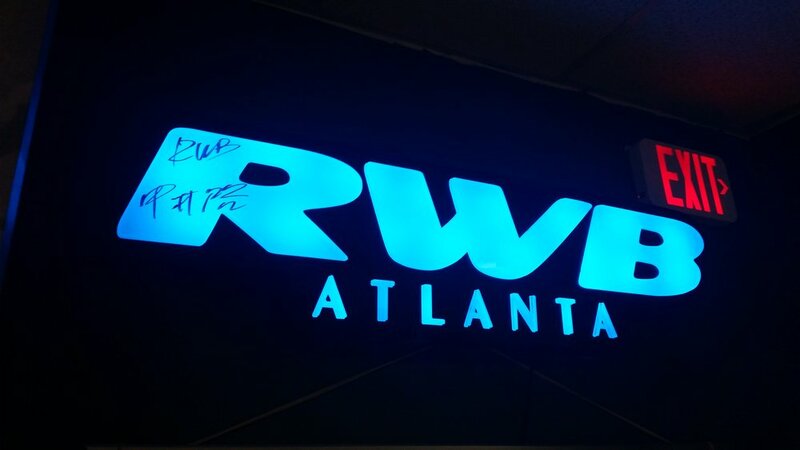 When we look at the RWB sign now hanging in our HQ, the good memories will come right back.